At Zeebrugge, Sergeant Norman Augustus Finch (Royal Marine Artillery) is second in command of the pom-poms and Lewis gun in the foretop of HMS Vindictive. At one period Vindictive is being hit every few seconds, but Sergeant Finch and the officer in command keep up a continuous fire, until two heavy shells make direct hits on the foretop killing or disabling everyone except Sergeant Finch who is, however, severely wounded. Nevertheless he remains in his battered and exposed position, harassing the enemy on the Mole until the foretop receives another direct hit, putting the remainder of the armament completely out of action. Captain Edward Bamford (Royal Marines) lands on the Mole from HMS Vindictive with three platoons of the Royal Marines storming force in the face of great difficulties. When on the Mole and under heavy fire, he commands his company with total disregard of personal danger and shows a magnificent example to his men. He first establishes a strong point on the right of the disembarkation and when satisfied that it is safe, leads an assault on a battery to the left. Both men will be awarded the Victoria Cross for their efforts on this day. Lieutenant Commander Arthur Leyland Harrison VC (HMS Lion, serving HMS Vindictive, Royal Navy) is killed while in the immediate command of the Naval Storming Parties embarked in HMS Vindictive. Immediately before coming alongside the Mole Lieutenant Commander Harrison is struck on the head by a fragment of a shell which breaks his jaw and knocks him senseless. Recovering consciousness he proceeds on the Mole and takes over command of his party, who are attacking the seaward end of the Mole. Though in a position fully exposed to the enemy’s machine gun he gathers his men together and leads them to the attack. His is killed at the head of his men all of whom are either killed or wounded. For his actions he is awarded the Victoria Cross posthumously. He had been a member of the England Rugby Football Team in 1914 and dies at the age of 32. Lieutenant Commander George Nicholson Bradford (Royal Navy) becomes the third brother in his family to be killed in action. He is in command of the naval storming parties embarked on HMS Iris II and they find there is great difficulty in placing the parapet anchors when the ship comes along the Mole. Although securing the ship is not part of his duties he climbs a derrick which is projecting out over the Mole and under heavy fire with the derrick crashing against the Mole because of the violent tossing of the ship he picks a moment and jumps with the anchor. Just as he places it in position he is killed at age 30. For his actions he will be awarded a posthumous Victoria Cross; the second won by his family, his brother Roland Boys Bradford who was awarded the Victoria Cross in 1916 was killed in action last November. Major Charles Edward Campbell Eagles DSO (Royal Marine Light Infantry) is killed at Zeebrugge at age 34. He is the only son of the Reverend Canon C F Eagles Vicar of Coughton and a nephew of General Eagles. Captain Henry Crosby Halahan DSO (Royal Navy) is killed on HMS Vindictive at age 34. His brother was lost in the Baltic in submarine E18 in June 1916. Lieutenant Charles Theodore Paynter (HMS North Star) is killed at age 22 when his ship gets lost in the smoke during the Zeebrugge raid and is sunk by shore batteries. He is the son of Canon Francis Samuel Paynter Rector of Springfield. Lieutenant George Spencer DSC (HMS Iris, Royal Naval Reserve) dies of wounds received at Zeebrugge. He is the son of the late Reverend A Eagles, the vicar of Accrington and was an officer of the White Star Line when war broke out and he immediately transferred to the Royal Naval Reserve. Wing Commander Frank Arthur Brock OBE (Royal Navy) is killed on the Mole at Zeebrugge. He was the inventor of the Brock anti-Zeppelin bullet, color filter, Dover flare, and the smoke apparatus used to cover the ships in the raid. Able Seaman Frederick William Bowlt (HMS Vindictive) is killed at age 19. His brother died on service in September 1915. Private Frederick Thomas Swan (Royal Marines Light Infantry) is killed at age 19. His brother was killed last July. Major Edric C O Ross (Merwara Infantry) dies of wounds received in action in the Middle East at age 36. He is the son the late Reverend George Gould Ross, the Rector of Michaelstow, St Teath, Cornwall. Captain Kenneth William Junor MC (Canadian Machine Gun Corps) an 8-victory ace is killed at age 24. Lieutenant Christopher Lancelot Usher (Wiltshire Regiment) is killed at age 20. He is the son of the Reverend Robert Usher Rector of Fovant. Lieutenant James Cairnes (Army Service Corps) is killed at age 28. His brother was killed in September 1917. Second Lieutenant Charles John Dawson-Greene (Grenadier Guards) dies of wounds received in action at age 20. He is the son of Henry Dawson-Greene JP and stepson of Brigadier General Cecil Monck. Second Lieutenant Archibald Mitchell Woodside (Highland Light Infantry) is killed in action at age 20. He was a medical student at Glasgow University, a son of the Reverend David Woodside DD and had two brothers killed in 1916. Second Lieutenant ‘Viscount Ipswich’ William Henry Alfred Fitzroy (Coldstream Guards attached Royal Air Force) is accidentally killed in Wiltshire at age 33. He is a son of the 8th Duke of Grafton. Second Lieutenant Charles Leslie Symons (Royal Engineers) is killed at age 19. His only brother will die on service in February 1919. Corporal Ivan Cecil Whtielaw MM (Australian Infantry) is killed at age 23. He is the third of three brothers to be killed in the Great War. Lance Corporal Frederick James Whitehead (Durham Light Infantry) is killed in action at age 21. His brother will be gassed to death in October of this year. Private John Shields (King’s Own Yorkshire Light Infantry) is killed. His brother was killed on Gallipoli in August 1915. Private Alexander Plummer (Durham Light Infantry) is killed at age 30. 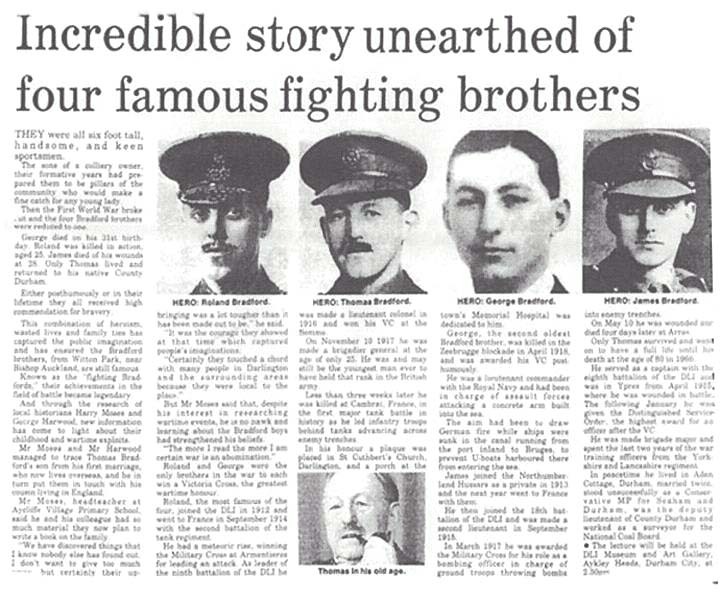 His two brothers were killed in 1916. Gunner D G Gilbert (Royal Garrison Artillery) is killed at age 21. His brother was killed in August 1915 on Gallipoli. Private Frederick Charles Metcalfe (Yorkshire Regiment) is killed in action. His son will be lose his life in the Second World War.